If you want to add space and value to your property, there are several options available to you. The most common of these will be to plan, design and build an extension for your house. Now there are many ways that you can extend on your property. The most basic of these would be to build a conservatory. 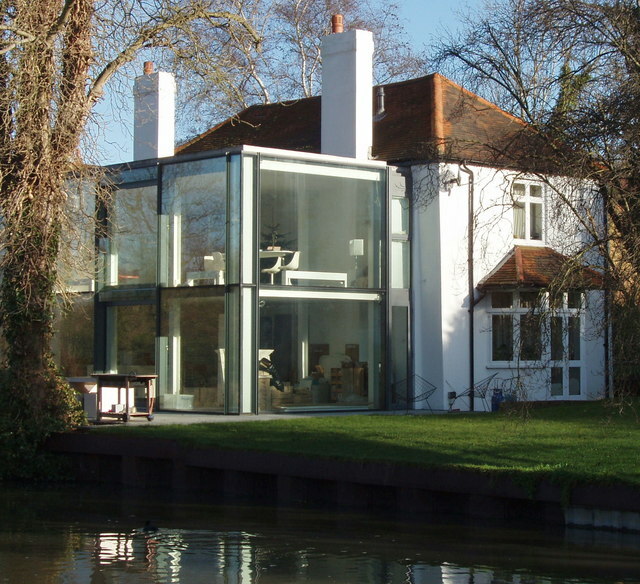 These are an extension that also acts as a transition between the inside and outside of the home. Of course, you may decide to extend a specific room or rooms. You might rip everything out, take the wall down and rebuild to make the room larger. Extending bathrooms is a popular choice. You may decide that you want to increase the size of your bathroom and maybe add a walk in shower and some new decor. Then there is the option of extending on the entire property by adding new rooms to increase the size and stature of your home. You can do this in a horizontal or vertical way, sometimes even both. Before you start work of any kind on your extension, you will need to apply for planning permission. Make sure you do research and find out what you are likely to be allowed to do and what is off limits. This is the key part of the extension as it lays the foundations for the rest of the work to build on top of. The first part of this is digging the footings. You will need to work out the size that you have to dig to fit with the size of the concrete you will use. Don’t forget to negotiate any pipework too. After this stage, you should get your first inspection and then you can start on the concreting. Once the concreting is complete it will be time to lay bricks and breeze blocks up to ground level. Then you will need to prepare the floor slabs, lay the damp proofing and have further inspection. At this point you’re ready to lay the floor slabs and then build up, using bricks and blocks for the walls. You can build on top of the foundations you’ve already set down. You will need to measure up to get the correct distances for insulation, wall ties, etc. Also remember to leave the openings for doors and windows. This is a vital part of the process as it will determine the result of all your hard work. Most extensions involve knocking a wall out and then extending. To help you achieve this, you will need to prop your structure up using a steel beam across the room. You can then take out the wall and extend from there. It will now be time for you to lay the roof. Refer to your design and make sure what you wanted to do is still possible. Don’t forget to add rafters and insulation on the inside before you lay the roofing outside. Select the most suitable tiles for the roof that you want. Also make sure you include bonnets and tile & halves so you can do the whole roof stress-free. If you are putting in a conservatory, you will want a glass roof rather than tiles. But don’t forget to insulate in the correct way for the glass roof. This will be the last stage of the extension process. Make sure that you get professionals out to fit the gas, electricity and water. You may have had to move this in the process of doing an extension. You may have to do more digging to fit new water mains of electricity cables. You should factor this in when planning and also check with the inspection team.